In November 2003 I joined Simmons College as Senior Instructional Designer for Academic Technology. In November 2006 I was promoted to Associate Director of Academic Technology. I collaborate with faculty and departments on the development of programs, courses, workshops, activities, and multimedia resources that use technology to further student learning. In 2004 my husband, Doug DeNatale, founded a company called Cultural Logic, Inc. He consults on a range of projects that use technology in support of the arts and humanities. Like me, he also has a Ph.D. in Folklore. Most recently he developed the New England Cultural Database. 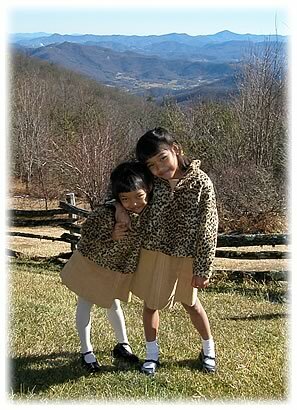 We have two daughters, Martha Elisabeth Channary (3/97) and Rebecca Tune Channak (4/98). 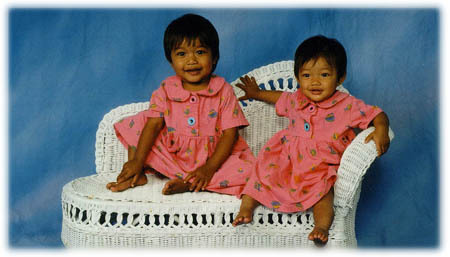 They are biological sisters who we adopted from Cambodia in April 1999. They are wonderful -- funny, intelligent, and good natured. From time to time I take on pet projects as a consultant. I'm particularly interested in projects that promote techno-literacy and online storytelling in ethnically diverse communities. For example, in 1996 I collaborated with an English as a Second Language in Northern Virginia to develop an online publication called Keepsakes and Dreams. Lots has happened since then, but for me that project withstands the test of time. In March of 2000 The Smithsonian Institution sent me to Vietnam to teach an intensive two week course on how to translate ethnographic field documentation into multimedia educational resources. I worked with eight representatives from the Museum of Ethnography, the Institute of Musicology, and the Folklore Institute. With only two computers to work with, in ten days we were able to develop prototypes for three sites. 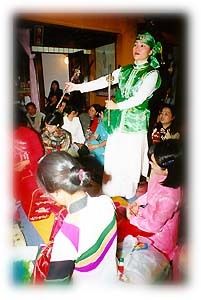 One site featured traditional puppetry and two others were about Len Dong, a complex spirit medium tradition that involves burnt offerings, dance, and a visually rich array of costumes. When I'm not working, I have lots of hobbies I enjoy. I love gardening, especially growing herbs. In the summer we hike in the White Mountains of New England, the Smokies, and the Colorado Rockies. Two years ago we bought a fixer-upper house that was built in 1912, so we have a long list of renovations that we've been working on diligently.